FRIDAY, June 10, 2016 (HealthDay News) -- Some workaholics may be prone to mental health disorders, compared to folks with greater work-life balance, new research suggests. These disorders may include anxiety, attention deficit hyperactivity disorder (ADHD), obsessive compulsive disorder (OCD) and depression, the study authors said. The findings, based on a review of more than 15,000 Norwegians, suggest that "taking work to the extreme may be a sign of deeper psychiatric issues," said study lead author Cecilie Schou Andreassen. "Physicians should not take for granted that a seemingly successful workaholic doesn't have these disorders," said Schou Andreassen, a clinical psychologist with the University of Bergen, in Norway. The research doesn't delve into cause and effect, so it's not clear how mental health issues and overwork might be linked. Nor should hard workers be labeled as workaholics, although experts say the distinctions between the two can be confusing. "It is arguable that the term workaholism is misused, and that in the majority of cases, it is only normal working behavior," Schou Andreassen said. For this study, researchers surveyed nearly 16,500 working adults, average age 37. About 6,000 were men and almost 10,500 were women. Of those overzealous workers, testing revealed that one-third appeared to have ADHD, compared to 13 percent among the non-workaholics. And, 26 percent showed signs of obsessive compulsive disorder versus 9 percent of those with better work-life balance. Also, nearly three times as many workaholics were deemed to have an anxiety disorder -- 34 percent versus 12 percent. And the researchers said they found that the rate of depression was tripled -- 9 percent compared to 3 percent -- in the workaholic group. Genes may explain the link between workaholism and mental illness in some people, Schou Andreassen said. It's also possible that workaholism may contribute to mental illness, or the other way around. The study doesn't provide any answers on this front. Steve Sussman is a professor of preventive medicine, psychology and social work at the University of Southern California. He said that "work as an addiction is not well-understood by many people." Some specialists question whether workaholism actually exists as an addiction, he added. He said "ambiguity" exists regarding workaholic habits that might be considered an addiction and mental illnesses such as obsessive compulsive disorder. 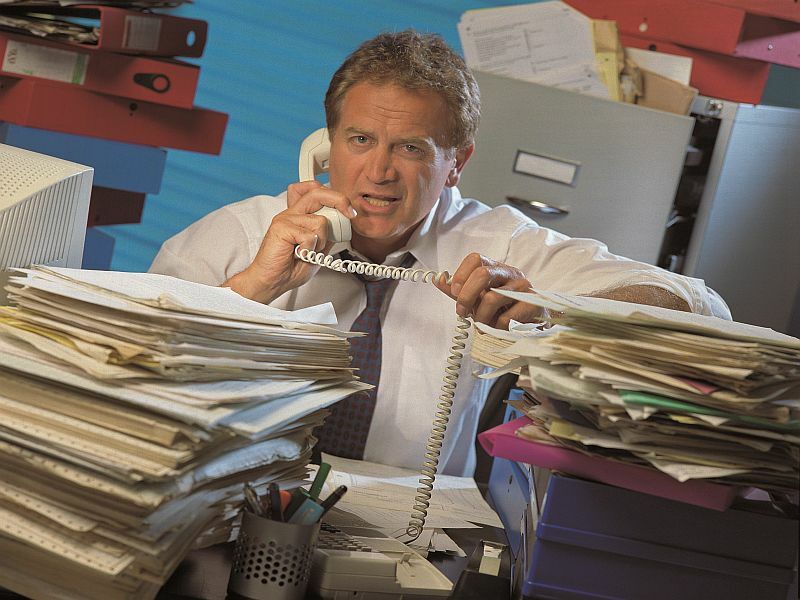 Previous research has linked workaholism to compulsive traits and anxiety, said Sussman. Another expert agreed that the subject isn't well-understood. "Many mental health professionals may not know about workaholism or have treatment plans for it," said Malissa Clark, an assistant professor of industrial/organizational psychology at the University of Georgia. Still, therapists can help patients "manage their workaholic tendencies, like developing strategies to help them 'turn off' work while they are at home or deal with poor marital quality and strained relationships with children," Clark said. "Another thing workaholics can do to help themselves is to communicate with their supervisor about when they will -- and when they won't -- be available when they are off the clock," she added. The study findings were published recently in the journal PLoS One.